How should the BBC deal with Jeremy Clarkson? Following Jeremy Clarkson’s suspension from Top Gear, employment lawyer Darryll Thomas examines the next steps the BBC should take. Top Gear presenter Jeremy Clarkson has been suspended by the BBC, after what has been described as a “fracas”. The incident allegedly involved him punching a producer, after returning from a day’s filming to the crew’s hotel to allegedly find the hot food he had ordered for dinner was no longer available. Instead, he was offered a cold meat platter. This controversy is the latest in a series of blunders that have attracted criticism. Clarkson has been castigated for various incidents where he used racist language, linked lorry drivers with murder, said that striking public-sector workers should be executed, and offended nations including Argentina, Mexico and India. Following last year’s media storms around Top Gear’s Argentina episodes – where a numberplate appeared to refer to the Falklands war – and Clarkson’s use of racist language, it was reported that the presenter had been given a final warning by the BBC. This latest incident brings his disciplinary matters to a head and, as we have seen over the past few days, onto the front pages of the national press. With so much attention on the suspension of Jeremy Clarkson, what should the BBC do next? From an employment law perspective, Clarkson’s alleged actions are very serious. If proven, they would certainly amount to gross misconduct. In any normal employment situation I would expect the employee/contractor to be suspended and an investigation to take place. If the investigation identifies a case to answer, it would be followed by a disciplinary hearing. If it is proven that Clarkson had struck a colleague, I would expect summary dismissal or immediate termination of his service contract. Particularly given his previous high-profile indiscretions, plus the fact that he said he was on his final warning following last year’s “Eeny, meeny, miny, moe” affair. Even if these indiscretions had not happened, assaulting a colleague is of such a serious nature that it is a standalone basis for dismissal. Despite the fact there is a public petition to reinstate Clarkson, currently with more than 800,000 signatures, all employers have a duty of care to their employees, which in this case would include the assaulted producer. The producer is entitled to operate in a safe working environment and could argue that, if Clarkson was left unpunished then the BBC have breached his employment contract, entitling him to resign and claim constructive dismissal. Regardless of the fact that Top Gear is one of the BBC’s most successful and lucrative programmes, reinstating Clarkson before an investigation has taken place could set a dangerous precedent across the corporation if a matter with such as high profile as this goes unpunished. Given its standing as a world-famous public-sector organisation, the BBC should be setting at the very least a basic standard example. 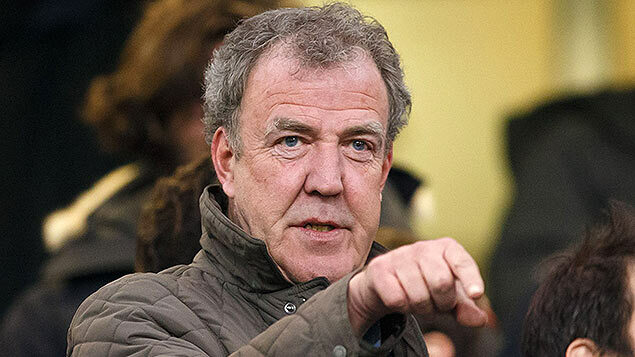 As of Thursday (12 March), it has been reported that the BBC has summoned Clarkson and witnesses to appear before a BBC disciplinary panel, with a date for this hearing yet to be set. Reports have also suggested that it was Clarkson himself who alerted bosses to the fracas, something which may help the presenter’s defence. But with so much attention on this issue – and with the BBC’s charter renewal looming large on the horizon – the corporation needs to be seen to be “whiter than white” in dealings such as this. Darryll Thomas is an employment and HR solicitor at law firm The Wilkes Partnership. 4 Responses to How should the BBC deal with Jeremy Clarkson? But is Clarkson employed by the BBC or is he one of its contractors? And does it make any difference. Clarkson is not an employee. What risk mitigation clauses would you put in his contract to deter bad behavior? Clarkson’s boss is culpable too as he is responsible for ensuring that Clarkson is kept happy. He failed so if Clarkson goes he should go too. Perhaps a lesson for BBC HR too? To quote Maria Miller, the Conservative MP and former culture secretary interviewed on Radio 4’s The World at One.